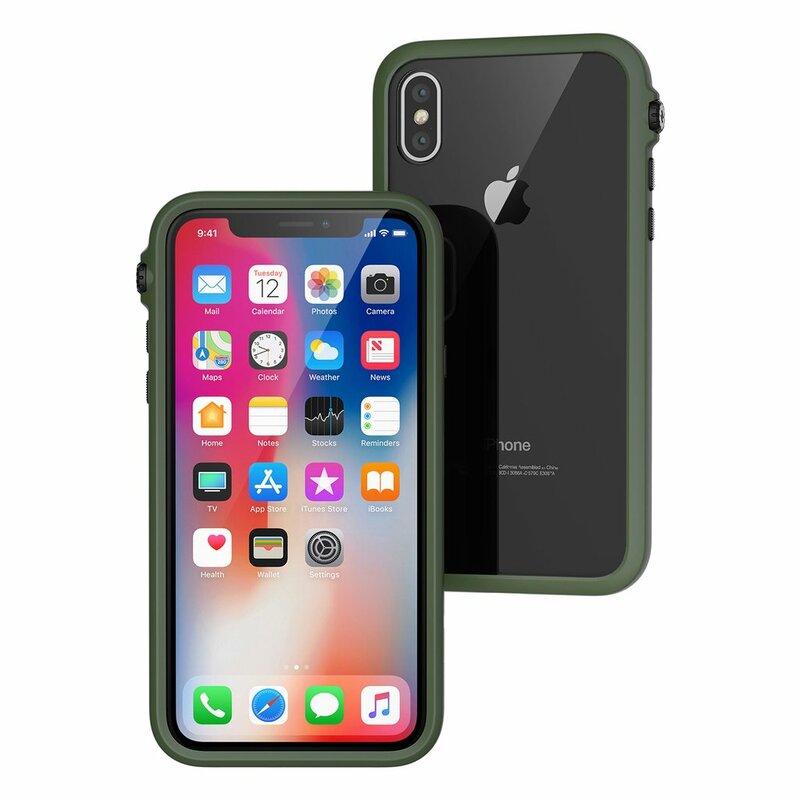 For the first time in quite a while I have stopped looking for a new iPhone X case. 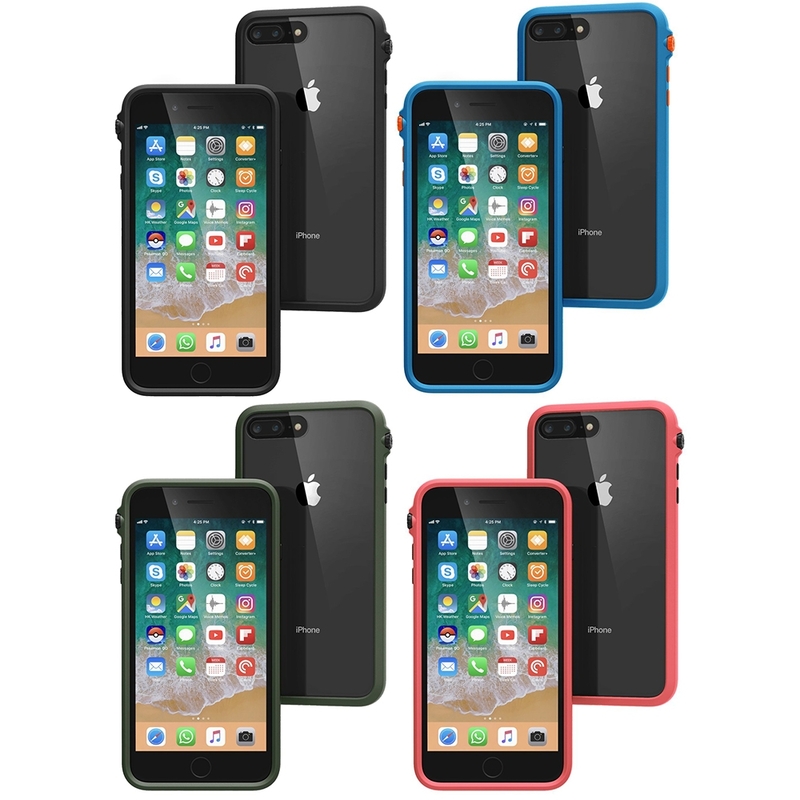 I have tried just about all styles from super cheap cases to expensive cases, Apple branded cases and everything in between. 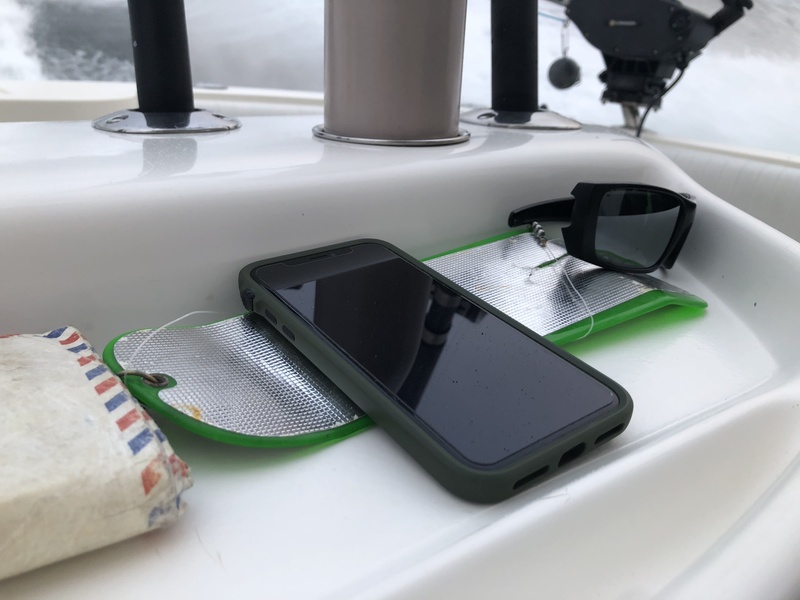 Some were, unsurprisingly, better than others but none better than my latest case – the Catalyst Impact Protection Case for iPhone (X, XS, XR, XS Max). Read on for a quick review. As mentioned earlier, I have tried a bunch of phone cases. Seriously. Way too many damn cases. I have been trying to strike a balance between the following; price, protection, longevity, sleek design, and how it feels in my hand. First off, the price is fair at $39. Not the most expensive, and certainly not the cheapest in todays world of $5 cases. 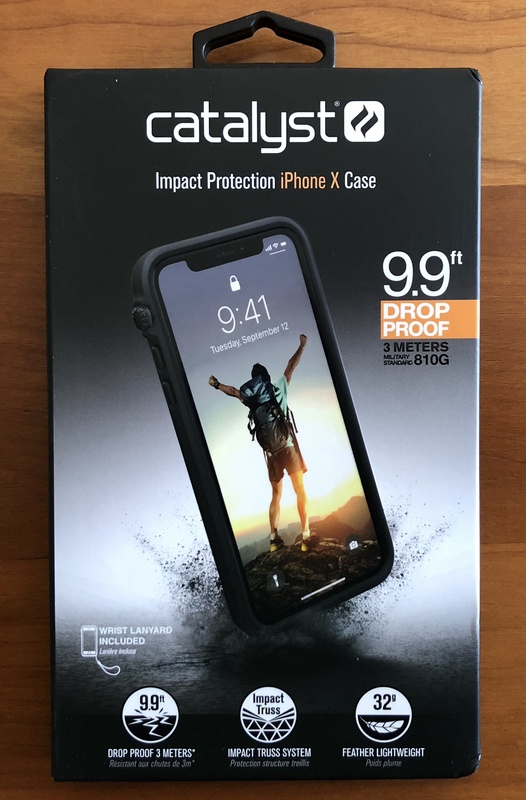 In terms of protection the Catalyst Impact Protection Case is hard to beat. Sure, the name doesn’t leave much to be desired. I think the product name wasn’t created by marketing folks, but instead by the person in charge of SEO. I digress. 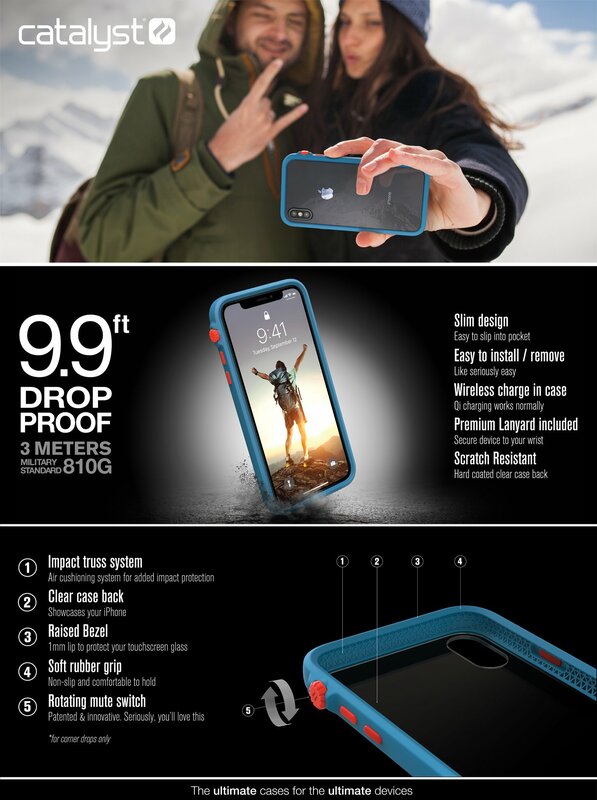 The phone (in case) is drop proof to 9.9-feet (military standard 810G) and there are videos online of people dropping from much higher than that. There is an attachment point for a lanyard (which is included) for those with butterfingers. There is also what Catalyst is calling an “impact truss system” which is a triangular grid with some airspace for cushioning drops. The bezel on the front of the case is raised by 1mm to protect the touchscreen glass. 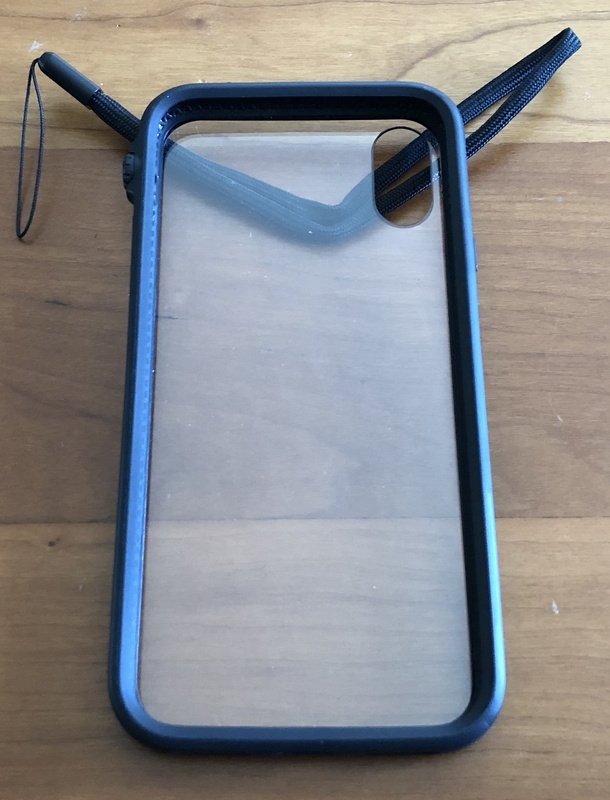 I appreciate this detail as some cases leave the iPhone screen vulnerable, and some are just way to protective and chunky. Perfect balance with the Catalyst Impact Protection Case. With regards to longevity, I have been beating on this case for five months. I haven’t been kind to the Catalyst case and it still looks great. This case has been UTV’ing on the Rubicon Trail, it has been deep sea fishing (proof below), it has been mounted on a mountain bike for some gnarly rides/crashes, and it has been dropkicked around my shop. The protective edge that runs the around the phone looks as good as it did on day one. The clear case back manages to resist scratches and still looks wonderful. Lastly, the case just looks and feels good. The edges are soft without being rubbery or too grippy. The buttons are recessed but have ridges that make them easy to use/find without looking. The mute switch might just be the coolest party trick around, Catalyst has converted the iPhone flick-to-mute switch into a rotating dial that looks like it belongs on a watch. I love this feature and people constantly ask about the dial. Also, it works well. The openings for the charge port and speakers are accessible and work well. 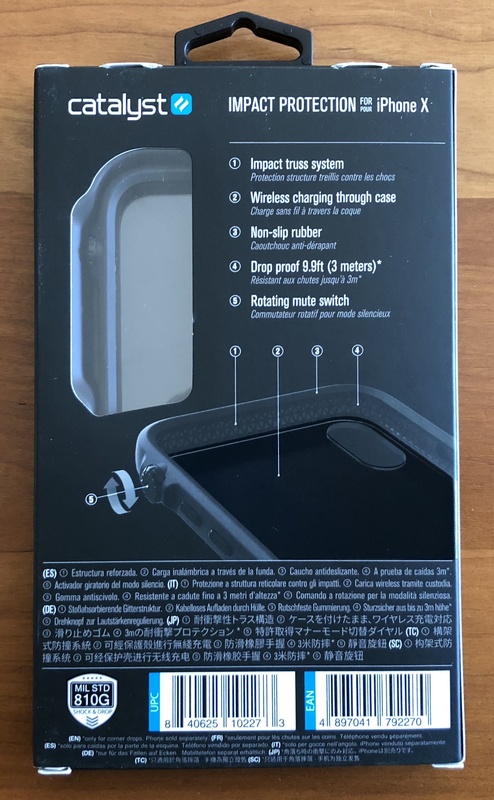 I have stopped looking for “the” case for my iPhone X since the Catalyst Impact Protection Case has arrived. 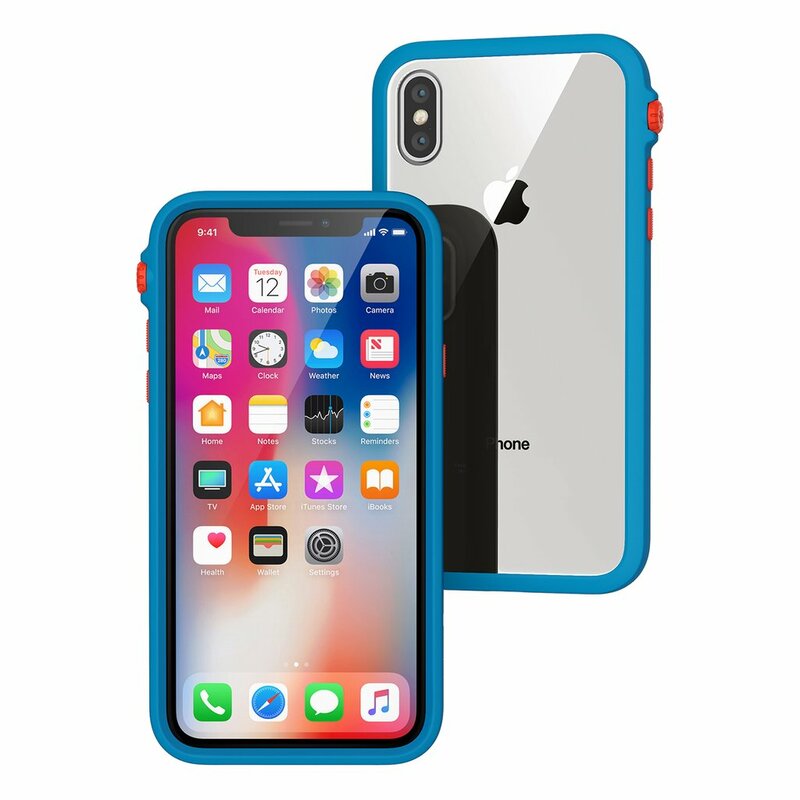 Trust me, get one for your iPhone X, XS, XR, or XS Max here.